Each and every map represents a distorted view of reality. 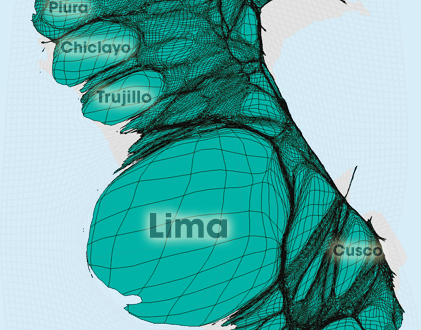 Therefore, cartograms are not as unusual as they might appear at a first glance. Map projections are a central aspect of the Worldmapper project because the maps (respectively cartograms) featured on this website are not very different from other re-projections of the world, albeit in a different way than conventional projections used in cartography. 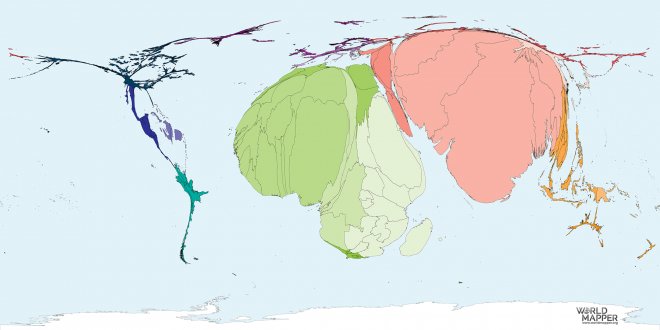 Rather than trying to solve the conflicts of distortion when drawing a three dimensional surface on to a two dimensional area (be it a screen or a paper map), Worldmapper cartograms distort our image of the world on purpose and show each country in proportion to a specific set of quantitative data. 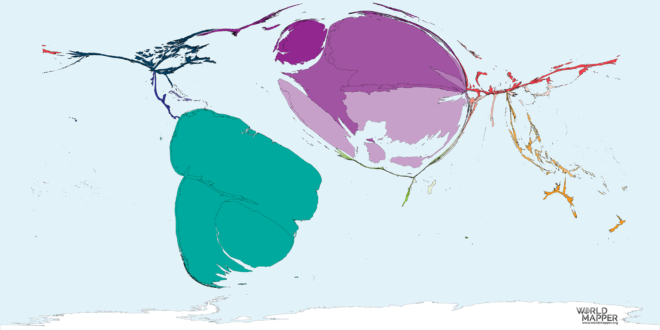 A conventional map serves as a reference map to guide through the distortion of a cartogram with a more common image of the world, although in many cases a population cartogram (see related maps above) is the more natural basemap since is helps us understand how other topics are different from the population distribution (rather than distribution of land). 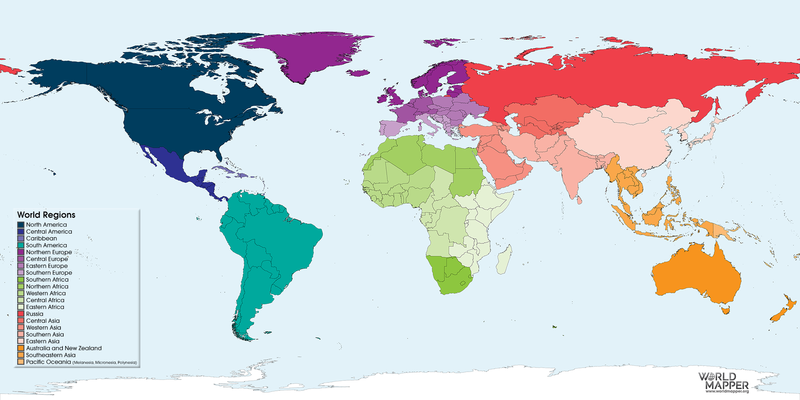 This map shows the world in an equirectangular projection. 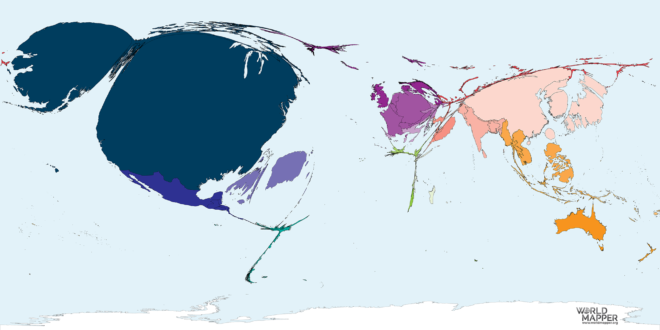 It is a reference map for the Worldmapper cartograms and utilises a colour scheme that distinguishes major geographic regions as defined by the United Nations Statistics Division.